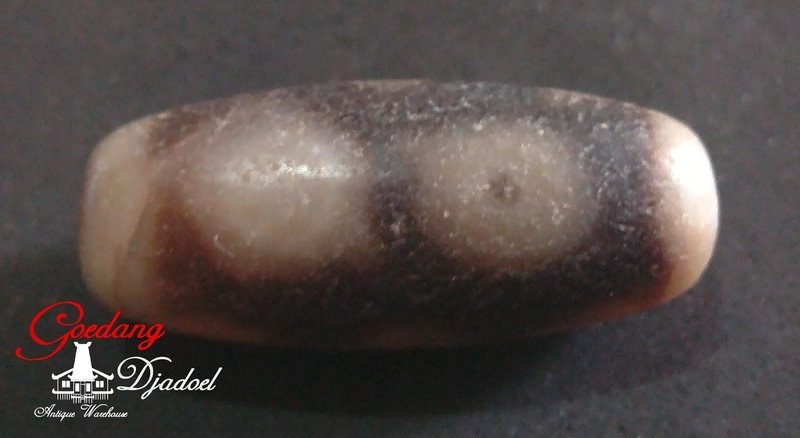 goedangdjadoel - Antiques: THREE EYED DZI BEAD - #DZ15 - SOLD ! 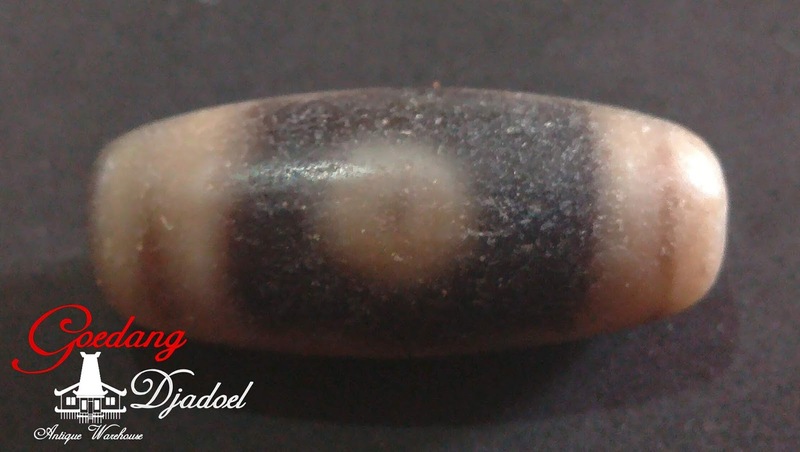 THREE EYED DZI BEAD - #DZ15 - SOLD ! It means success, wealth, long life full of health and fortunate opportunities. In China it is rendered as three eyes of Luck or Three Stars of Luck from Three Star Elders. Three star elders are: Shousin, Fusin and Lusin. These three Chinese gods embody happiness in all the spheres of life: health, family, love, luck, career, wealth, creative success. In Buddhism the bead symbolizes the god of wealth Yellow Dzambala (Kubera), the symbol of all the types of prosperity in all worlds. This is one of the most powerful beads for attraction of financial wealth. This bead often goes together with Padmasambhwara Hat and Buddha’s Heart. Another meaning is the harmony of body, mind and heart.